When the President of the United States announces a National College Application Month, it’s time to step up and make things happen. Whether or not you’ve begun your college search or thought about how to share your story with a college admissions officer, the Cooke Foundation has your back. 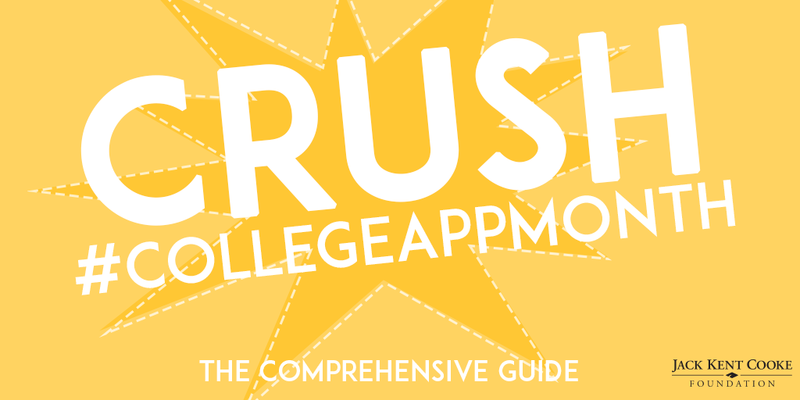 Here’s a collection of our best tips for high school students and community college students looking to transfer. Follow us on Instagram (@thejkcf) and Twitter (@TheJKCF) too – we’ll be sharing more tips throughout November! Did we miss any of your concerns? Let us know in the comments!